Röjk’s Shortlongs are perfect for those with a tendency to get cold. They will keep you just warm enough in all situations, whether you are training for the bum slider racing district championship, sitting at the top of a pile of snow waiting for the starting pistol, or you’re stuck in the lift. A unique construction with a seamless back piece, an adjustable waist with strings, and twisted seams makes them follow your movements without ever chafing. 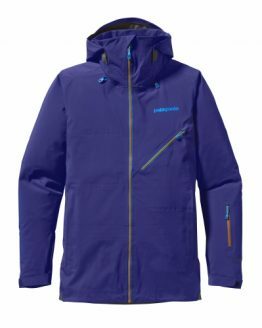 The unique lightweight material Tvister Fabric breathes better than any other fleece, and will therefore keep you warm, dry, and smell free. They take up almost as little space as the emperor’s new clothes, but they are definitely much better looking. Material: Röjk’s very own Tvister Fabric is a completely new lightweight material with super stretch, introduced in Röjk’s clothes as the worl’d first half-layer insulation – not too hot, not too cold, but just right!! Greatly innovative, playful and of a different design on a traditional outdoor market!! Swedish Brand, Röjk Superwear was founded by owner Jan- Fahrenheit Betros in connection with an innovation contest in the UK. It all started when Jan- Fahrenheit moved to the French Alps to be closer to skiing and other outdoor activities, and later, travelled around the world for skiing. Meanwhile, he developed an interest in technical textiles and sportswear, which lead him to studying product development of such textiles with a focus on sportswear at the University of Derby in England. He was encouraged by his textile professor to enter the Innovation for Extremes Award 2007 contest, with his own design of a sports sweater, which was also his degree project. The sweater, with its innovative knitting and unique qualities, won the Best Design and Innovation contest and is now called Tvister Helmet Hood and is patent pended. Jan- Fahrenheit instantly had enquiries from retailers and customers and received attention from the media. He came up with the name RÖJK on the spot, which stands for a made-up expression of his own, ”röjåk” – ”a perfect ride”. The first example of the Tvister Helmet Hood was made in 2006, with help from Jan- Fahrenheit’s grandmother, a retired seamstress. Röjk first appeared in stores in the fall of 2009, and the first collection consisted of the Tvister Helmet Hood in unisex sizes, three models of beanies, and ski socks made from PrimaLoft yarn. Tvister Fabric was developed by Jan-Fahrenheit as a complement to the many warm fleece fabrics that already existed on the market, as there was a need for a thinner, fast-drying, and ”lagom” (”just enough”) warm fleece material. For the very first collection, Jan-Fahrenheit, together with PrimaLoft, produced the first PrimaLoft yarn ski socks ever made in Scandinavia. The socks would come to fill yet another gap on the market, with their ability of isolating heat and transporting moisture, to keep feet dry and thereby warm and free from frostbitten toes at all times. Greatly innovative, playful and of a different design on a traditional outdoor market with nothing but big dragons for competition – who would have known that a ski bum, who worked extra at ski shops to pay the bills, and who, with the help of his grandmother, would come up with a product that won both contests and people’s hearts, and that this very product, the Tvister Helmet Hood, would make the foundation of a well-liked and now growing company? Simply put, it pays of to have fun! 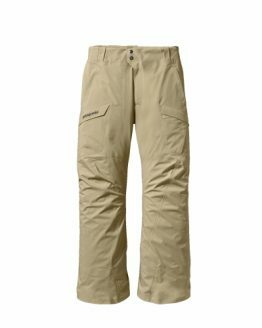 Sale: Patagonia Men’s Untracked Ski Pants, Retro Khaki Colour in size XL only!! 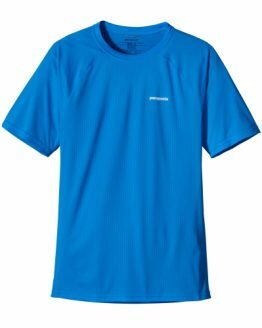 Clearance: Patagonia Men’s Air Flow Shirt, Size Small Only! 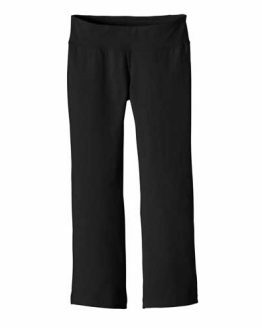 Clearance: Patagonia Women’s Serenity Capris Bob, Size Large Only!